King Office Services is one of the nation’s largest and most respected office, manufacturing and facility relocation companies, providing services locally from Los Angeles to Orange and San Diego counties, as well as national and international destinations. Founded more than 50 years ago, we’ve completed tens of thousands of office and facility moves across all industry classifications. We are the largest most accredited organization of this type in the markets we serve. Our size and specialization in facility transitions/moving makes us competitive and able to deliver a consistent quality of service. With a 100 percent on-time completion track record, and tailored services ranging from project management, to computer and furniture installations and post-move follow-up, we minimize down-time so you can be up and running as quickly as possible. As an employee-owned company we have a vested interest in making sure your office or facility move is the best you’ll ever make, and we are committed to providing you with truly best-in-class service. For personal relocation services, our sister company King Relocation Services delivers the same high level of service. Each of our employee-owners is committed to ensuring your move is the best you’ll ever make. With more than 5 decades of experience, we understand office and facility moves better than anyone else. Whether you want to learn more about our services, have a specific question pertaining to your move, or a billing question, contact one of our dedicated professionals to let us know how we can help you. We have performed office and facility move services for decades. We have relocated hundreds of millions of dollars and many hundreds of millions of square feet of commercial move projects. We also have the largest quantity of background checked and certified movers, dedicated, committed, and certified project managers, sales executives and operational staff with over 600 years of combined industry experience. This supports our claim of having the best and most experienced professional team you can hire. We assign a team of professionals from operations, customer service, and project management to assist you with organizing, controlling and managing all aspects of your relocation. Our professional project managers have all passed rigorous certification programs and are credentialed on QuickQube, an industry leading software program that helps to optimize crews and process relocation projects efficiently. We are committed to offering our clients the best service money can buy, all day, every day. With our 24/7 hotline, you can rest assured that one of our dedicated employees will be there to provide assistance when you need it. We have the largest local truck fleet in the Southern California move market. Our vehicles are stringently maintained and pass all CHP requirements. In keeping with our commitment to environmentally friendly practices, we also use alternate fuel systems. We’re committed to using the latest technology in order to reduce costs, improve efficiency, and provide our customers with consistently superior service. To accomplish this goal, we use QuickQube, an industry-leading program that gives you a fast, accurate bid with an itemized list of what’s moving, optimizes crews for the move project, and streamlines processing of the job. 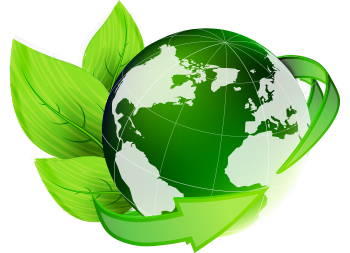 This, along with our automated dispatch, equipment warehouse control, asset management, Web based liquidation and accounting packages makes us the first truly paperless move company, and is in keeping with our commitment to green business practices. We manage our business carefully and our fiscally conservative practices have allowed us to offer our customers superior value, while delivering consistent profitability and growth through decades of operation. Our passion for excellence extends throughout all aspects of our business, including reducing our carbon footprint through green practices in order to make our world a better place for generations to come. For more than 50 years, we’ve been earning the trust of private and public organizations in a wide range of industries. IFMA is the world’s largest and most widely recognized international association for professional facility managers, supporting more than 19,000 members in 60 countries. CRN – The Commercial Relocation Network is a membership organization made up of the largest and most successful office and industrial relocation companies in the country. The criteria and process to become a member of CRN is more stringent than joining any other industry company or organization. 1,300 service centers, 146 countries, 6 continents. This is the UniGroup network, the largest owner-managed relocation network in the world. At each location, our global standards of performance ensure the same commitment to high-quality service. UniGroup Relocation has been moving companies and lives globally for over 80 years.